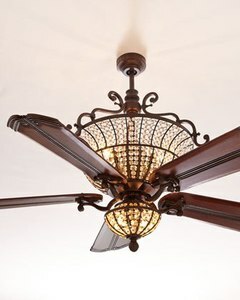 Tired of the traditional white or wood ceiling fan with 5 blades? Looking for something more inspiring? We know exactly what you mean. We’ve compiled a list of 10 unique ceiling fans that are sure to place you on the road to finding the perfect fan for your needs and space. 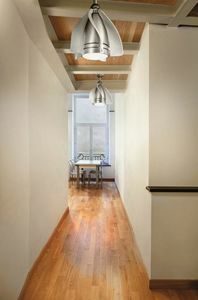 This is the perfect rustic ceiling fan. 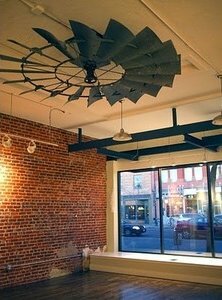 The one pictured here was made by The Original Windmill Ceiling Fan Company. It looks like it would be heavy, but it’s made from durable aluminum and comes with everything you need to mount it, just like a fan you would purchase in-store. There are also various sizes and finishes available. Is your subject room large, but only have one ceiling fan mount? There are a number of twin fan designs that you can purchase. This one is from Harbor Breeze at Lowes. 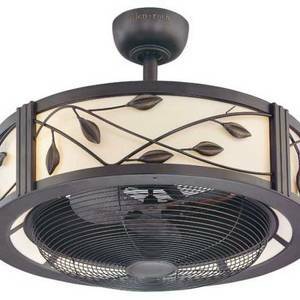 It has an oil-rubbed bronze finish, 6 wicker blades, 3 speeds with a reversible motor, and a light. 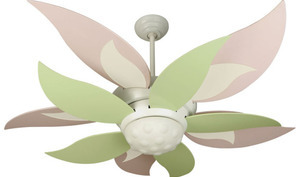 Oftentimes, ceiling fans with an adolescent theme look cheap or gimmicky, but this pink and green flower fan from Craftmade International displays whimsy and fun without shortchanging you on style. There are two tiers of petals with one tier acting as the fan’s blades. It includes a 3-speed reversible motor, light, and remote control. 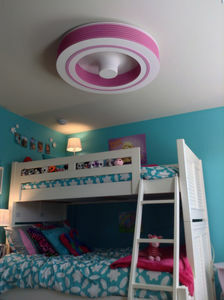 If you don’t like the overall look of a fan hanging in the middle of your room, the Fanaway by Hunter may be the fan for you. When it’s off, the clear plastic blades rest inside of the fan’s unit. Once turned on, centrifugal force pushes the blades out. 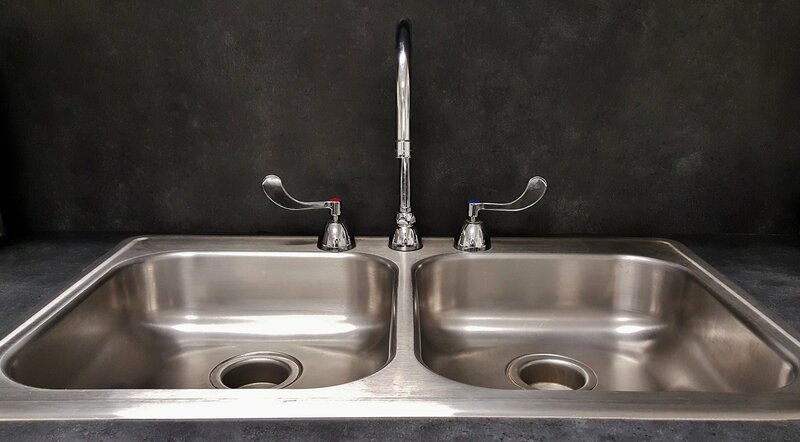 It comes in sleek brushed chrome with a dimmable light and the WhisperWind® 3-speed reversible motor is remote controlled. 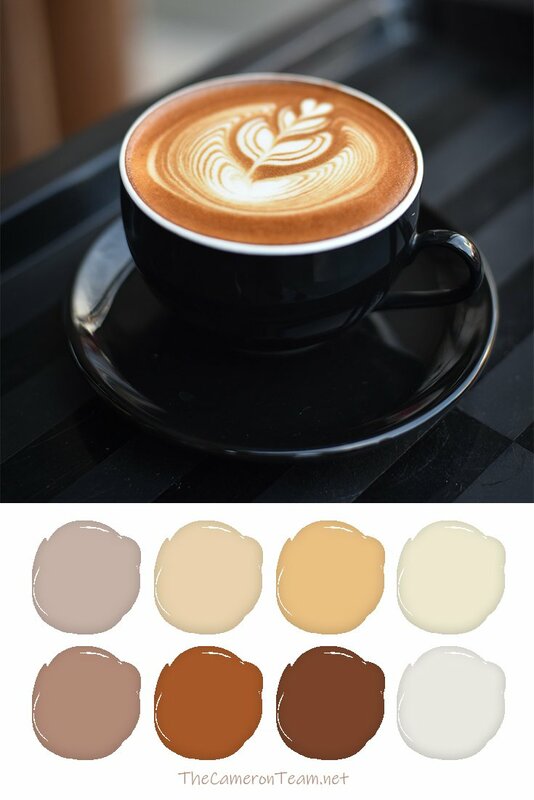 Fanaway was launched in Australia, but is now available in the U.S. at Lowes. 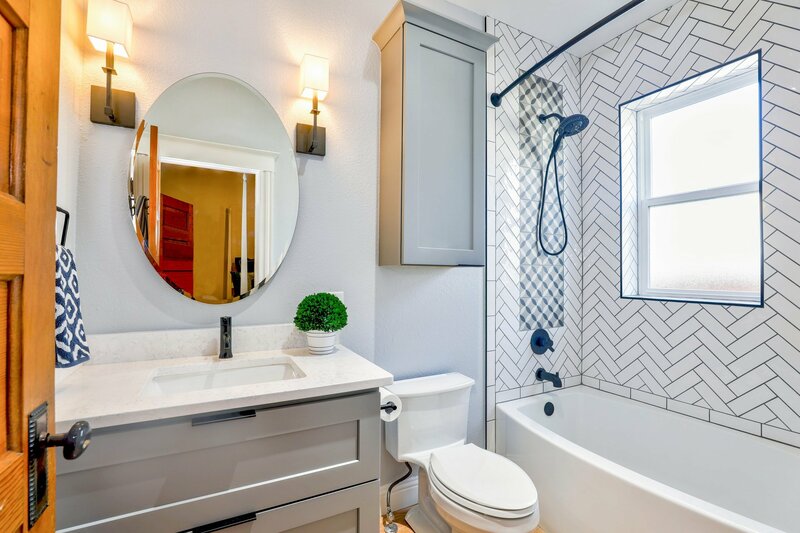 Have a narrow space? Not all fans are wide. 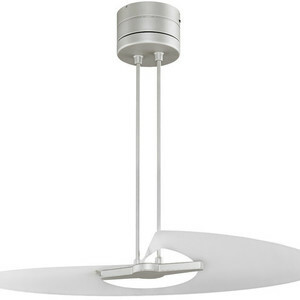 This Terna Pendant Fan by Kichler is great for hallways, kitchens, and anywhere else a pendant light would be used. It comes in 5 finishes, including brushed nickel, bronze, and white. It has 3 speeds and at its center is an opal light. The look of the Exhale Fan isn’t for everyone, but if you’re looking for a truly bladeless ceiling fan, it may be the right choice for you. The Exhale gives off a gentle breeze that spreads across the whole room, not a major downdraft like you may find with a normal fan on high speed. It’s great for rooms with low-ceilings or bunkbeds, and comes with a remote controlled dimmable light. It’s shown here in pink, but comes in multiple accent colors or just plain white. Do you want a fan with a bladeless look, but in a more traditional style? Allen + Roth’s Eastview Ceiling Fan is made in aged bronze with a decorative leaf pattern. It has 3 blades surrounded by a cage, plus a dimmable light, remote control, and 3-speed reversible motor. Want a chandelier, but really need a ceiling fan? The Cortana Ceiling Fan by Craftmade has beaded, antiqued, octagon-shaped crystals, antiqued bronze scrolling, and carved wooden blades. The upper crystal casing has internal lighting and there’s an optional lighting kit for the underside of the fan. The result is a fan perfect for a formal dining room or traditional foyer. If you don’t shy away from modern design with unique lines, take a look at The Artemis Ceiling Fan from G Squared Art. The Artemis ceiling fan is a winner of the GOOD DESIGN award of the Chicago Athenaeum and it makes nearly no noise while running. It comes in 10 colors/finishes, including a really neat translucent one that shows that interior motor. 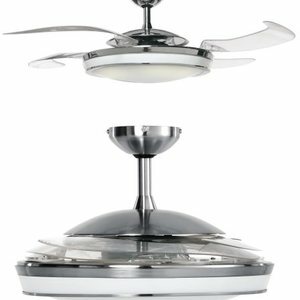 Fan blades are engineered polycarbonate with hand applied finishes and the motor is a 3-speed reversible. It has a built-in light and wall mount control (remote is an additional cost). 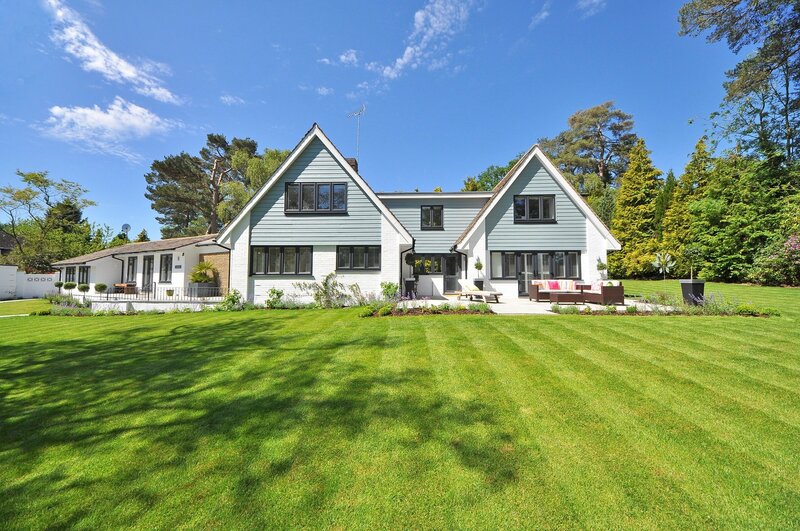 Are you looking for a simple design that leaves a lasting impression? 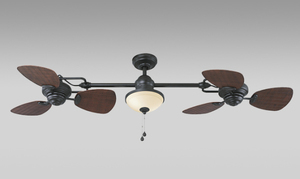 Take a look at the Marea 1 Blade Ceiling Fan from Fanimation. It’s designed for small rooms and comes in satin nickel or bronze. The wall mount and handheld remote control are convenient. The only downside is that it doesn’t have a light and most smaller rooms are in need of an overhead light. 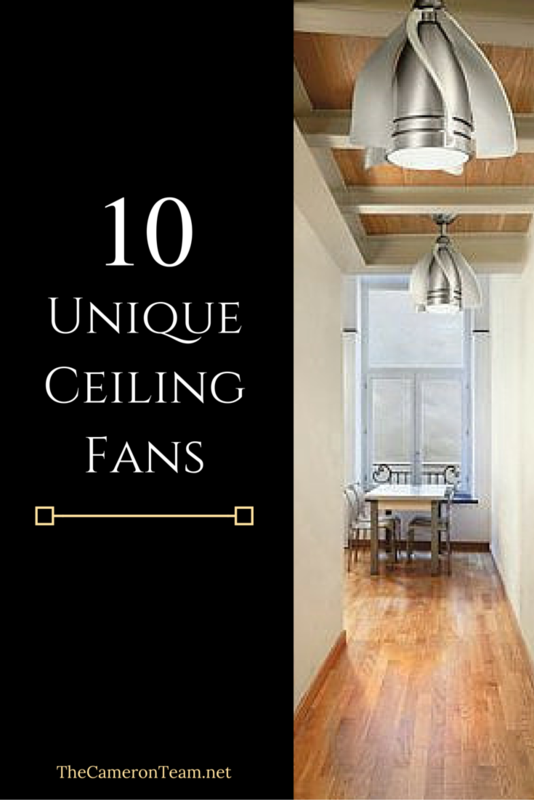 Seen a show-stopping ceiling fan? Share it in the comments below!